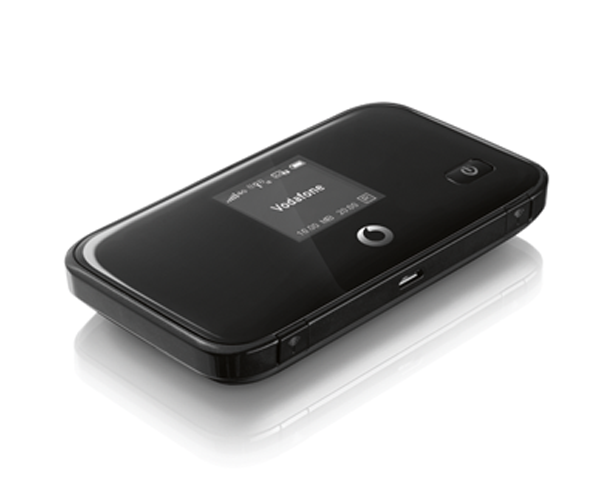 Vodafone has unveiled the R212-Z 4G LTE router recently. The device is a small, portable wireless router (MiFi) with an integrated battery. As you can see the “Z” in the name, the Vodafone R212-Z is manufactured by the manufacturer ZTE and is the counterpart to the Vodafone R210 MiFi router, which is manufactured by Huawei and had been sold for many months. Both devices are very similar technically, however, there are still some differences between them. On the technical side, Vodafone R212 router provides a modem chipset from Qualcomm, which is LTE category 3 supporting up to 100 megabits per second downstream. For upload, up to 50 Mbit/s data transfer speed is possible under LTE networks. In the UMTS mode, the data accelerator DC-HSPA+ is used, which could reach up to 42.2 Mbit/s downstream and 5.76 Mbit/s upstream. The integrated wireless module operates on the 802.11b/g/n and allows up to 10 wireless devices to access the mobile Internet. The configuration is done via the web interface as usual; alternatively, the Vodafone Mobile WiFi app or the display can be used. On the display, the most important information such as battery level, network strength, data volume and the number of connected WLAN devices are displayed. The integrated 2800 mAh battery should allow 8 to 10 hours of run time, which is comparable with other LTE mobile hotspots such as the Huawei E589 or telecom Speedbox LTE mini (HUAWEI E5776). A special feature of the two connectors for external antennas can be connected to LTE MIMO antennas. In most other mobile routers, only one antenna connector is available, so that no MIMO function is guaranteed. Charging via microUSB, the port is on the side of the Vodafone R212. Also located in the device now, there is MicroSD slot in the Vodafone R212, which allows you to make data available on the network.